Dating from about 1050, Delgatie is a uniquely Scottish Castle. 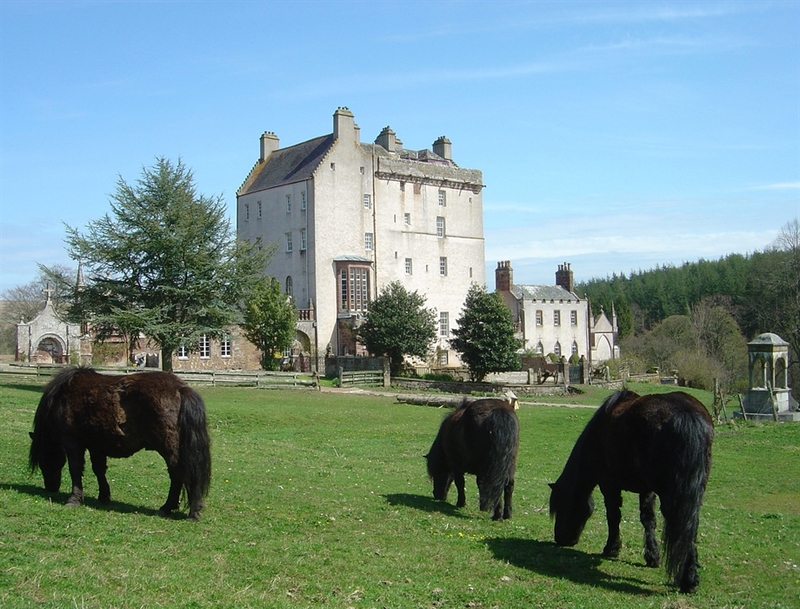 It is the home of the late Captain and Mrs Hay of Delgatie, and is the Clan Hay Centre. It is set peacefully within its extensive estate, with gardens and many delightful walks for guests to enjoy. It is situated three miles from Turriff, the site of the first skirmish in the civil war between the Covenanters and the Royalists in May 1639. The Castle's location provides an ideal touring base, with the cities of Aberdeen and Inverness both approximately an hours' drive away. Many of the loveliest areas of the Highlands are easily accessible, as well as the beautiful coastline known as the "Scottish Riviera." Holidays are about getting away to where you can forget the pressures of everyday living - about unwinding in fresh surroundings. Here in the peace and tranquillity of. Delgatie Estate you will have your own country hideaway, with the forest on your doorstep. Holidaymakers are welcome to walk through the Estate and the forests.